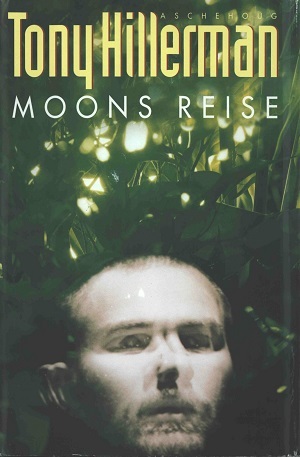 This is the Norwegian hardback edition of Finding Moon, a novel set in Southeast Asia about a character named Moom Mathias who sets out to recover his brother's secret child. This edition was published by H. Aschehoug & Co. in Olso, Norway. The text was translated into Norwegian by John Erik Bøe Lindgren. The cover photo is by Espen Tollefsen. Format: Hardback 21 x 13.5 cm. Binding: Green boards with author name and title embossed in silver, printed vertically on the spine.